Happy New Year, #GenXYZ! For most people, getting a fresh start in the new year means changing up your look or resolving to be more productive. This same “New Year attitude” is also taken by companies as they launch new products or overhaul their brand. This week’s #WebsiteWednesday did just that. 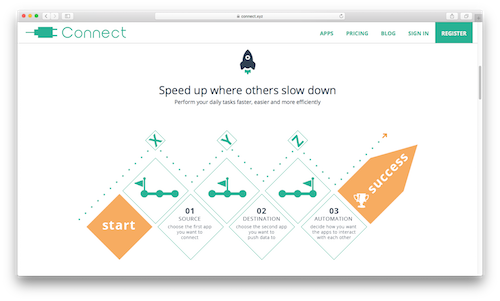 Thanks to their new .xyz domain, this business not only has a fresh look for the new year, but they’ll help you achieve your resolution to be more productive by linking all your apps together in one place: Connect.xyz. 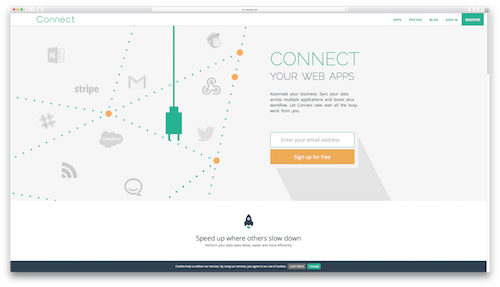 Connect.xyz streamlines your business practices by offering a platform to connect the apps you use every day, like Mailchimp, Salesforce, Google Drive, Slack, and Dropbox. So instead of having a ton of windows and tabs open, everything can be accessed from one central location to see posts and data from each app. This ultimately saves you time so you can complete the important tasks that affect your bottom line. Connect was created by X-Formation, a product support company with clients like NASA. X-Formation knew their innovative idea needed a dynamic website to match, so they kept that in mind when they redesigned Connect.xyz for the new year. They even tied “XYZ” into the new website design! We caught up with Dawid Tadel of X-Formation to learn more about the vision behind Connect.xyz. 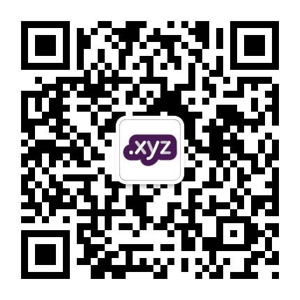 XYZ: Can you tell us about how the .xyz domain extension is a good fit for Connect? DT: The .xyz extension is very catchy and we knew it would perfectly match our goals because what Connect does is simply go through a process of Connecting an app ‘X’ with an app ‘Y’ to achieve a desired effect, let’s call it ‘Z’. The domain is short and sweet and extremely easy to remember, so overall we’re very happy we’re using it. XYZ: As members of #GenXYZ yourselves, did the idea for Connect come about as a result of your own experiences when managing multiple apps? DT: A short answer would be, yes. Over the years we used plenty of different applications to boost our efforts – various CRMs, chats, time tracking apps – the usual ones. We realized we were wasting a lot of time on importing/exporting a lot of data between different apps. That’s when it struck us that we should actually save time thanks to these apps, not waste even more of it. XYZ: What is in store for the future of Connect? Are there any more apps you would like to add? DT: Of course! We’re just getting started. We want Connect to be as simple as possible. We’ve also added a lot of new big apps to our library like Mailchimp, Dropbox and Google Drive – now you can Connect them with other apps you love. Adding more apps is definitely our biggest goal, we want to allow the users to create previously impossible custom workflows to make their lives easier. XYZ: What advice can you give to members of #GenXYZ trying to bring their own apps to market? DT: Try to focus as much as possible on making an application that is really helpful in eliminating daily tasks. Ask yourself who’s your typical user and how would you improve his busy schedule with your application. Connect.xyz is the perfect embodiment of what Generation XYZ is all about: an innovative global brand that got its first choice domain and molded .xyz into what THEY wanted it to be. Their platform allows users to connect their apps together and create seamless communication between them, just like .xyz connects the next generation of internet users around the world. If your New Year’s resolution is to be more productive, Connect.xyz has you covered. Inspired by Connect.xyz to bring your own idea to life? Get your .xyz domain NOW for as low as 50¢ during our registrar partners’ winter holiday sales – ending on January 5. See a list of participating registrars at www.gen.xyz/wintersale.